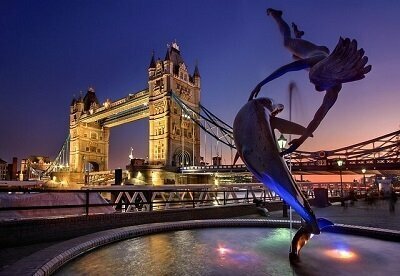 London is one of Europe’s top event locations. There is constantly something happening in the city, there is always some new film premier or gala that needs your attention. Not only that soon after your house relocation, you will find out that there are numerous annual events all around the city that need your attention. Here are some of the most popular anticipated festivals, concerts andÂ ceremonies occurring every year in the British capital. If you manage to organise your house move until the end of September, you are in luck, because during the second half of October you can enjoy the glamorous London Film Festival. Every year the film elite gathers in London for a week of meeting with fans, film promotions and awarding the best summer films. You can get a ticket and go see one or more of 300 international films, documentaries, short films and animations. Usually, in the end, the week is the big award ceremony and in addition, there are special fan meetings with actors, directors, producers. The London Film Festival was first introduced in 1953 and from then on it became one of the most significant events in the British cultural life. Organised by the British Film Institute, this prestigious event offers the opportunity to get close to the extraordinary world of filmmaking and see your favourite stars all in one place. What to Do If Your Favorite Dress Got Lost During The House Move? Another world-renowned event is, of course, London Fashion Week. The show is held two times a year in February and September. In the span of five days over 5000 visitors come to see their favourite celebrity designers in over 80 runway shows. London fashion week tends to gather the more edgy and innovative designers and if you want to see something exciting and out-of-the-box, this is the place to be. During this intense one week, designers present their new collections, offers are made and contracts are signed. The first London Fashion week was held in 1984 and from then on together with the fashion weeks in Milan, New York and Paris is the most popular fashion event in the world. 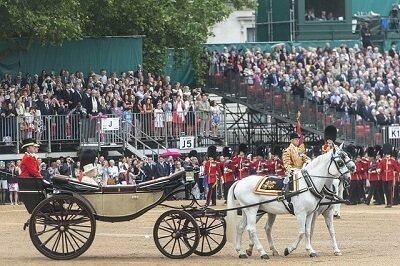 An age-old British tradition is known also as “Trooping the Colour”, the Queens parade is one of the biggest Summer events of the year. Dating from the yearly 18th century, the ceremonies consist of a parade of the Royal Guard, followed by a Royal Salute and an inspection of the guard from the Queen herself. There is also an amazing flyover by the Royal Air Force that marks the end of the parade. Make sure to leave a couple of free hours in June, after the house moving tasks are over, to go witness this spectacular event. It typically starts at 10 in the morning and ends a little past noon. A good place to watch the passing Royal Guard is St James Park, the parade starts from the Buckingham Palace and goes all the way to the Mall and back. In mid-Spring there is a special race held on the River Thames, that is anticipated by many and it is may represent the most British event of them all. We are talking about the Oxford and Cambridge boat race. The first ever boats competition dates from 1856 and since then the two most prestige Universities in the UK stand against one and other, competing for the first place. It all started as a friendly match between two friends and now is one of the most notable events in the world. A pleasant time for a house move will be March because the boat race is held I the first week of April. If you want to have a top place to watch it live you can go to Putney Bridge, Hammersmith or Dukes Meadow. If you prefer lying on your new couch and watching it on TV you will be able to hear everything that is going on on the boats thanks to the placed microphones. If you are a classical music fan London has something planned for you. Dated in late 1895 The Henry Wood Promenade Concerts or for short, the Proms is a summer classical music festival dedicated to the common people. Created by Robert Newman the idea behind the concerts was to make classical music more accessible to people from various social classes. 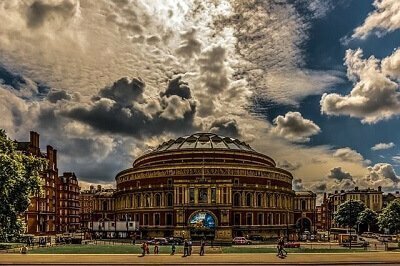 Now during the summer months, visitors can choose from over 90 concerts held in Royal Albert Hall for only £5. A very popular trend of inviting Hollywood composers has begun so now it is common to listen to Wagner one evening and to Hans Zimmer the next.